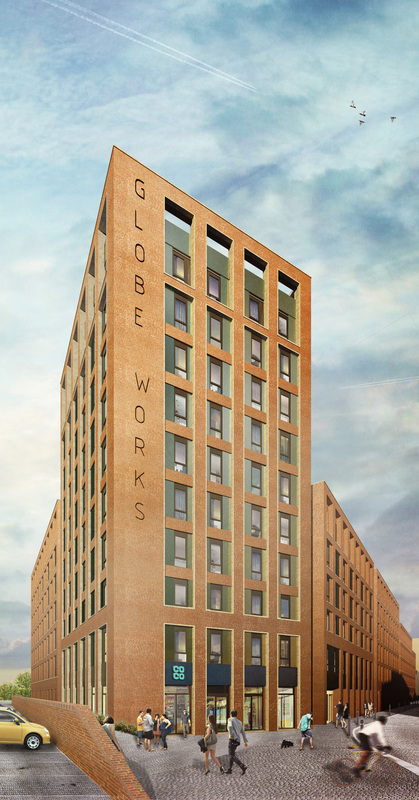 Located in the old Gun Quarter next to the Birmingham & Fazeley Canal, this scheme accommodates 520 student rooms in a mix of cluster flats and studios with associated common areas (café, laundry, gym, cinema room, convenience store and communal study rooms). The built form follows the street pattern with a tower element located on the corner of Clivedon Street and New Town Row, anchoring the scheme within its local context. The external expression is a closely detailed regular gridded brick façade incorporating a number of different window treatments and brick types to create variety within the streetscape. The building footprint creates two south facing courtyards opening onto the canal and providing an attractive focus for the common areas and facing student rooms. The courtyards form a contrast to the traditional red brick facades addressing the street by utilising the Victorian precedent of simple white brick linings. The building is currently on site and will be completed in July 2019.